According to a tweet by DOK Leipzig, PABLO'S WINTER won the 'Healthy Workplaces Film Award' a few minutes ago, along with €8,000 granted by the European Agency for Safety and Health at Work (EU-OSHA) for the best documentary film about the subject of work. As an added reward, 1,000 copies of the winning film will also be produced in a selection of 8 EU languages by EU-OSHA and distributed across Europe. 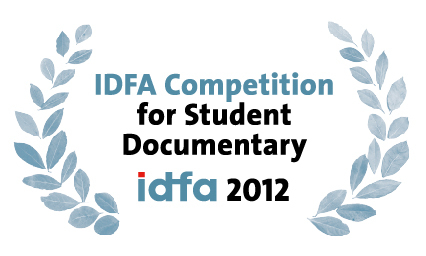 In addition, the film also just received an honorary mention for the International Jury Young Award. Today, we have the pleasure to announce that Pablo's Winter will have its world premiere at the DOK Leipzig festival later this month. Chico Pereira's first feature-lenghth work will compete in the Young Cinema Competition. According to the festival's press release, 84 documentaries and 114 short animated films will make up the official programme of this year‘s DOK Leipzig. Among the documentaries are 27 world premieres and 14 international premieres, a record number for the film festival. The 198 selected films were chosen from 2,847 entries submitted from 113 countries. The number of countries also marks a new high.